While most herbs will grow best outdoors in the garden there are several that can be cultivated indoors on a windowsill. By concentrating on these during the winter months you can ensure a year round supply of fresh herbs. The herbs that tend to grow best indoors are those like mint that are somewhat unruly unless confined in a pot, but others can also be successful. This information comes from an article by Melissa Will which I found on her Empress of Dirt website. Love herbs? 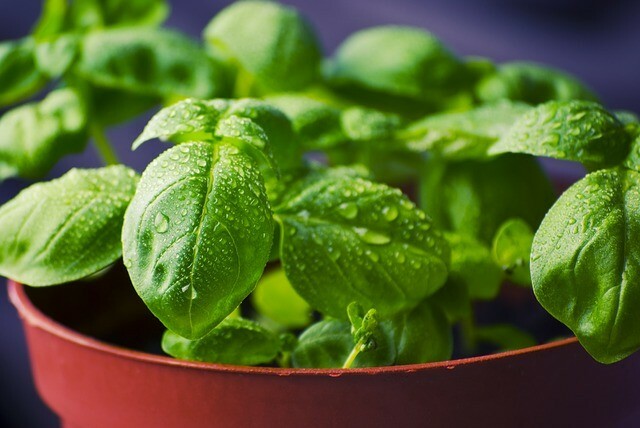 Here’s a list of herbs you can grow indoors in your home all year-round, including both annual and perennial plants. Grow your own kitchen garden right in your kitchen! Herbs really do best outdoors, but there are some that do fine indoors if we can provide the right growing conditions. The number one consideration is light. Most herbs like full sun. If you have full-sun exposure at a window, or grow-lights (you can see what I use here), you should be fine. The minimum amount of full-sun per day for many herbs is 5-6 hours. Chives are an exception, doing fine with 4 hours. Thyme loves light and needs 8 hours. I’ve noted any additional needs in the list (below). Most herbs also strongly prefer well-draining soil and do not tolerate dampness or sitting in water. Use a lightweight potting mix (you can add perlite for better drainage) will do—and situate the pot (with good drainage) so it is never sitting in a saucer of water. This list started from my own experience as an indoor grower. I also checked numerous sources (books, garden bloggers) to see their lists. My own successes have varied each year, and I’m sure this is the case for others too. Bottom line, provide the most optimal conditions you can, and see how it goes. Many of the annuals should last for months. The perennials may over-winter and return to life outdoors for several years to come. Annual herbs germinate, bloom, produce, seed, and die, within one year. Not so easy to grow from seed indoors but does okay from a starter plant. A relative of parsley, okay with low light. Recommended: Vietnamese coriander is one of the easiest to grow. Try growing sprouts indoors for culinary use. Start with a stalk from the grocery store. Trim top and grow in a few inches of water.